Wolves do not snarl or growl at their prey. They are quiet hunters, whose gaze zeroes in on a target with unrelenting focus. When hunting with the pack, they can often look quite happy, with ears up and tails wagging. 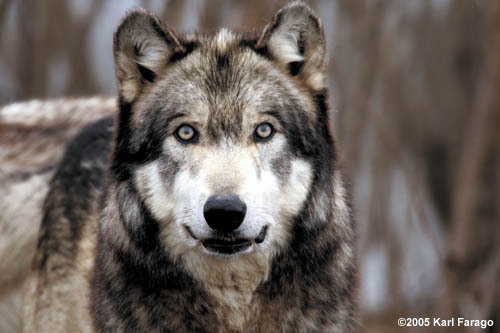 But wolves only kill to survive, and approximately 87-91 percent of all hunting efforts fail.